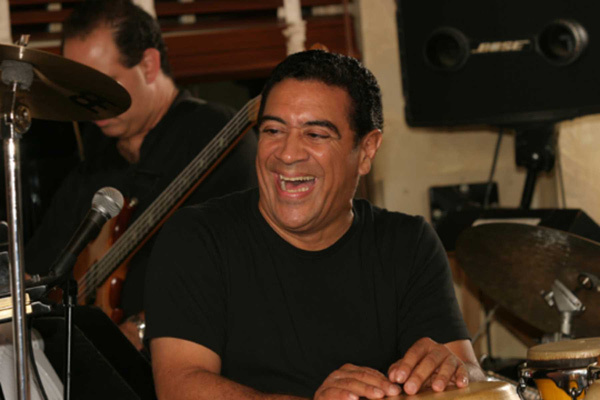 Sammy Figueroa is one of the music’s foremost percussionists. He is presently on tour with the great Sonny Rollins and has lent his infectious smile and stirring rhythmic sounds to the works of Miles Davis, Herbie Mann, the Brecker Brothers and pop stars from Blondie to Chaka Kahn. Originally from the Bronx, New York he relocated to Miami 2001 where he continued to be a first call sideman, explored leading his own groups and started producing various other artists. In 2002 Sammy debuted his Latin Jazz Explosion and has been cultivating and refining the infectious sounds of this driving band ever since. On his latest effort Urban Nature, Figueroa bolts out of the gate with the opening number “Gufillo”. where his front line of John Michalak on saxophone and Alex Pope Norris on trumpet belt out the head in powerful unison. 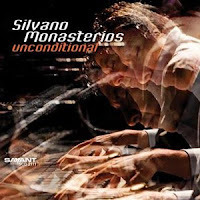 Pianist Silvano Monasterios takes flight on his driving piano solo and Figueroa is in constant motion as he and Negroni keep the pace filled with rhythmic drive. Trumpeter Norris takes a nice muted solo while Figueroa’s sure hands push the underlying pulse relentlessly forward. On the title rack “Urban Nature” the clave driven beat is the perfect back drop for a floating soprano solo by Michalak. Montasterios is a creative improviser on the ivories as he does not let the clave beat confine his explorations to Latin inspired riffs. North and Michalak punctuate their lines in perfect sync like two front line horns who can intuit each other’s minds. On “Latin What” we are treated to the piano of Mike Orta and the seriously hot tenor of Ed Calle. After a soaring trumpet solo by North, Calle enters the fray. He lets loose with a fiery burst of biting energy. His sound is edgy and aggressive and his playing is joyously raspy and uncensored as he employs a fluttering, double-tongued technique that would be almost comical if he didn’t pull it off so well in context. His solo roars and is the highlight of the album. Orta offers a flowing and lyrical solo of his own making, as Jose Gregorio Hernandez joins Figueroa on percussion. Monasterios’s beautiful piano work on his self-composed “Zuliana” is perhaps the most poignant cut on the album. Gabriel Vivas’s bass and Figueroa’s percussive sounds subtly add to the dreamy sound as Montasterio weaves his poetic spell. This fine pianist can also be heard in greater detail on his recent release Unconditional, which received well deserved recognition. “7th Door to the Left” is another Monasterios composition. Michalak is again on soprano with he and North weaving through the complex line over Figueroa’s percussive drive. To do it justice, “Cuco y Olga” needs to be danced to. The promotional notes that came with my copy of the album indicate this song is a tribute to the late great conguero Mongo Santamaria. “Cha Cha Pa Ti” has a cinematic quality that seems to capture the various pulses that represent the neighborhoods of Sammy’s Miami. “Queen from the South” is a slow, sensuous tribute by Montaserios to a beautiful woman. Michalak’s alto solo is appropriately sinewy and sultry and his best work on the album. The pianist’s touch is gentle and evocative of a lingering longing for a special lady. 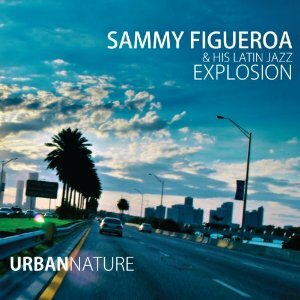 Urban Nature Sammy Figuero and his Latin Explosion continue to make their mark in the canon of Latin jazz. Figueroa's infectious rhythms and his obvious joyful countenance drive the music to emotional heights. Musicians: Sammy Figueroa, percussion; Silvano Montasterios, piano; Gabriel Vivas, acoustic bass; John Michalak, saxophones; Alexander Pope Norris, trumpet; Nomar Negroni, drums; Ed Calle; tenor sax on track 3; Mike Orta, piano on track 3 ; Jose Gregorio Hernandez, percussion on track 3. About 75 miles due north of New York City in the Ulster County Hamlet of Marlboro, New York is the Falcon. 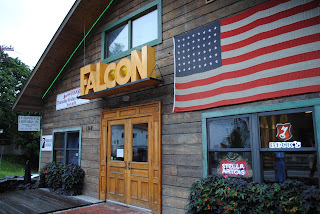 Perched adjacent to a wonderful waterfall, this lovechild of transplanted Staten Islander Tony Falco, is a barn-like two story music and art performance space that also just happens to be a pretty fine restaurant. Despite the venue being a one and one half hour drive from New York City, it is Tony's hospitality and his vision of creating an inviting environment for the musicians that makes it work. It has become a safe house of sorts, a place where musicians are able to try new ideas outside the expectations of their mainstream audiences. It can also act as a convenient place for musicians to warm-up in preparation, on their way to gigs in New York City. There is no cover charge for the music, only a donation box where patrons are expected, but not required, to make a donation to the performers. The entire proceeds go to the musicians. It is the vibe of the place, the good sound system and the sentiment of the owner that has allowed the Falcon to attract some top name artists without a guaranteed gate. Brad Mehldau, who lives in nearby Newburgh, NY and the drummer Mark Guiliana to Saturday night and suspended Sunday's performances in anticipation of the storm. It was a rare chance to see the eclectic pianist and the frenetic drummer in an intimate setting. In speaking to Mr. Mehldau shortly before his set, I asked him what music he had planned for his upcoming set. He indicated that it was to be an evening of pure improvisation without any prearranged play list. The stage was set with an acoustic grand and a Hammond B3, but Mr. Mehldau was having none of that on this evening. It was a purely electronic set with an electric piano, two keyboards and a laptop computer providing the instruments Mr. Mehldau would be employing. The only acoustic instrument on the stage was Mr.Guiliana's drums set. The evenings entertainment started off with a slam poet from Galway, Ireland named Stephen Murray. The comedian read aloud several of his humor drenched poems to the gathering crowd. He was well received especially when he requested Mr. Mehldau to accompany him on piano to the reading of one of his poems. Lonnie Liston Smith's dablings from back in the seventies. 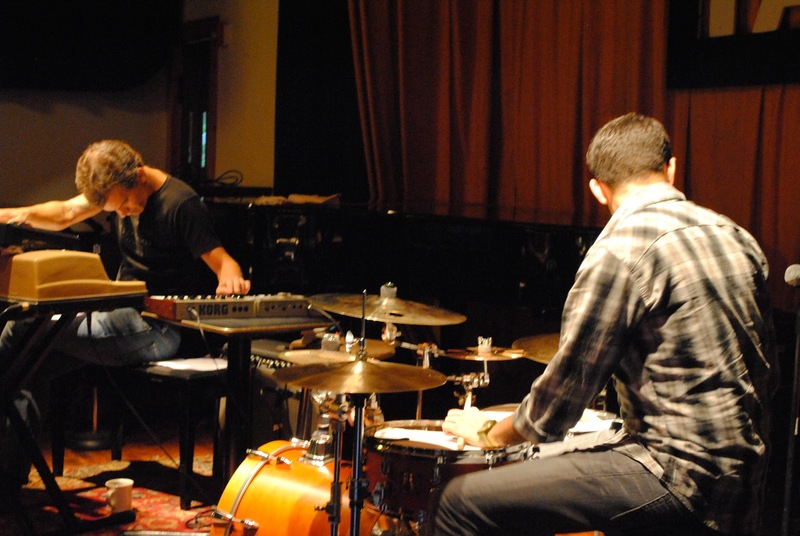 The two musicians feed off each other with Mehldau setting the table and Guiliana adding the garnishments in a sympathetic interchange of ideas. Guiliana is an intense drummer whose every action seems to be charged with electricity. His energy level is so high that I found myself shaking my leg wildly trying to follow the syncopated beats he was producing. He is like a Van Der Graaf generator that you may have witnessed in physics lab, electrifying everything that is within its vicinity-making your hair stand on end. Mehldau, by contrast, is a player whose outer countenance is calm and mellow no matter how kinetic his playing may become. He gets enveloped by what he is playing and flows along with the music in a way that is very organic, meditative and expressive. The contrast between the two was stark but made for some interesting music. The second number was started by Guiliana who played an odd, beat while a recording of what sounded like a political speech was played over an amplifier. Mehldau started off with a repeating line on electric piano while Guiliana maintained his multilayer-ed beat. The pianist expanded his right hand playing to include some dashing runs up and down the keyboard, that included some creative changes in the electronic sounds of his keyboard. Mehldau has a complete and masterful independent control of his two hands that allows him the ability to produce some wonderfully creative juxtaposed sounds. On the third song Mr. Mehldau starts off adjusting his computer to preset designations of the electronic sounds he wishes to use. Mr. Guiliana creates a frenzied beat pattern that lays the carpet out for Mr. Mehldau's combination of eerie organ-like sounds, mixed with runs on the electric piano and even a hint of harpsichord thrown in for good measure. This could easily be the soundtrack to a horror film. There are swells and lulls in the intensity of the music that add greatly to the experience. The recorded speech is re-introduced into the piece as Mehldau and Guiliana change tempo and start slowly building a dynamic that is hypnotic in its sway. The two musicians build the e tension back up into a frenzied well spring of ideas that overflow with spontaneity. Guiliana is especially intriguing to watch. 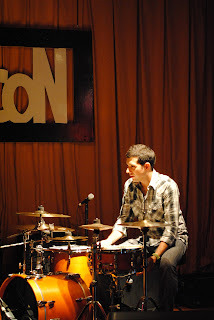 The drummer seems to have internal battles within himself as his motion is both frantic and precisely controlled. Very intriguing stuff. There were a total of six separate musical pieces punctuated by pauses and applause during the one hour and twenty-six minute set. 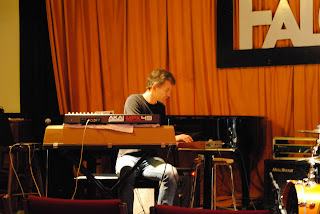 The evening was an almost continuous experiment in free improvisation and interactivity. Despite the appreciative audience, this was not, for the most part, music that one would necessarily put on their cd player. It is, however, music that needs to be experienced to be fully appreciated. My words do little to convey the true effect that experimental music like this has on one who witnesses it first hand. It is to be present for the conception of an idea, to by privy to the creative process of a musician during moments of true spontaneity. It is a rare and powerful experience. As creative artists Mr. Mehldau and Mr.Guiliana leave themselves naked to their audience, as nothing is apparently rehearsed. They are like trapeze artists who are working without a net, fraught with danger, but open to limitless possibilities. 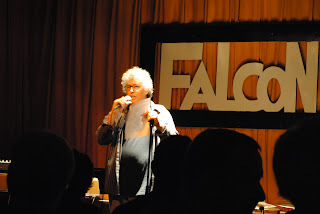 It is precisely why such venues like the Falcon need to be supported and encouraged, so they can provide the forums that allow for such wonderful trips into the unknown. It is hard to say what may become of this evening's musical explorations between Mr. Mehldau and Mr. Guiliana, but suffice it say that we are all enriched by them tinkering with the possibilities. After hurricane Irene hit the next day, the Falcon experienced a washout of their lower level parking area as the adjacent waterfall reached flood levels. Fortunately the performance space was unscathed but the damage to the retaining walls and parking area will need to be repaired. A trip to the Falcon is sure to be a wonderful experience and will help support the "live" music we all love.